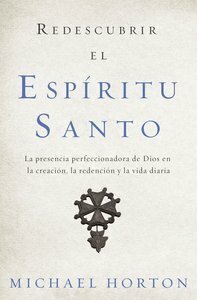 About "Redescubrir El Espritu Santo"
Michael Horton (PhD, Wycliffe Hall, Oxford, and the University of Coventry) is Professor of Apologetics and Theology at Westminster Theological Seminary, California. He is the author of a number of books including Covenant and Eschatology, The Divine Drama, Lord and Servant: A Covenant Christology, Covenant and Salvation: Union with Christ and most recently Christless Christianity:The Alternative Gospel of the American Church. A prolific author, he is also the host of The White Horse Inn, a nationally syndicated radio program, and editor of Modern Reformation magazine.